So, I will start with Thanksgiving first: It was awesome. Started the day in the way I prefer to start it every year, watching the Macy’s Thanksgiving Day Parade while hubby made breakfast. Towards the end of the parade I cleaned up and got ready for food making. My food came out great (see picture below). It was my first time making Thanksgiving dinner. 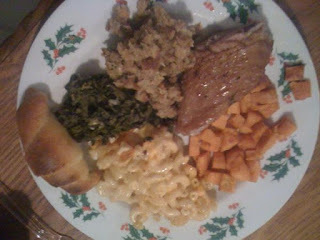 On the menu: crescent rolls, turkey, collard greens, baked macaroni and cheese, stuffing, and roasted sweet potatoes. I took a shower around 11:30 to prepare for our Black Friday Extravaganza. I know some of you followed my #blackfridaycampout tweets on my twitter. 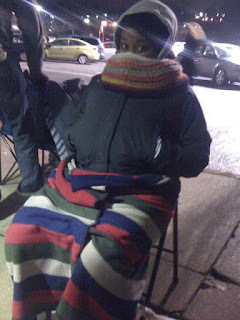 We waited in line at Target from about 12:15am (when we got there there was already a line) until 4am. The wait really wasn’t that bad, time passed quickly, it was only a *little* cold, and the freezing rain didn’t start until about 15 minutes before we went it in. Our Black Friday shopping went almost seamlessly. We had a map, so we knew the plan. 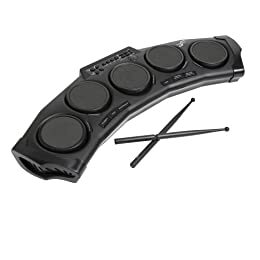 Go in, down the escalator, he’d swing left to pick up an electronic drum set for his nephew, I’d swing right to get the Disney Princess Play Kitchen for my niece, and we’d meet around at electronics to get an Xbox 360 Controller. We were in and out of the store before the last people in line even made it in! Then after Target we swung over to Bed Bath & Beyond (who had no line, I kind of felt bad for them lol) and I got a Kurieg for like $65. There was no dolls I wanted so I stayed home! But, that photo of you was funny! @EbonyNicole30 - I haven't gotten any dolls in a while, but I thought about getting the set of all the Disney Princesses to date. congrats on your successful dinner! Your dinner looked amazing! Glad to see you survived the Black Friday craziness- even being the bargain nut that I am I can not bring myself to do it! WOW you are a real trooper for black friday!!! I can not see myself getting up that early nor camping out to get the items I am interested in.